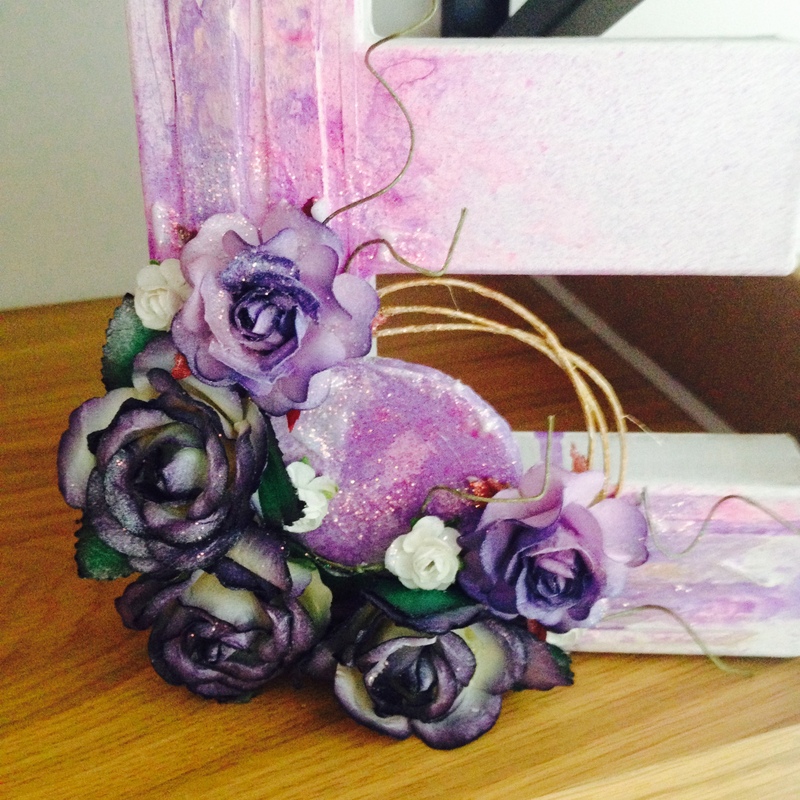 During my last visit to HobbyCraft, I picked up a couple of things to decorate and a bunch of paper flowers and other 3D embellishments. 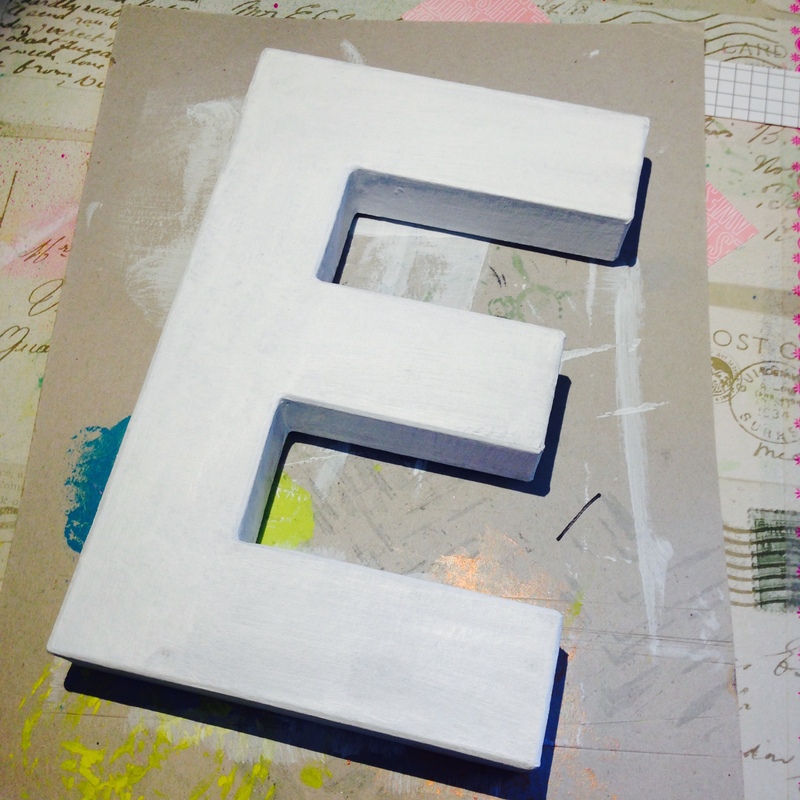 One of the items is a cardboard letter E, which I wanted to decorate for myself and keep it in my craft room as my final claim of the area. 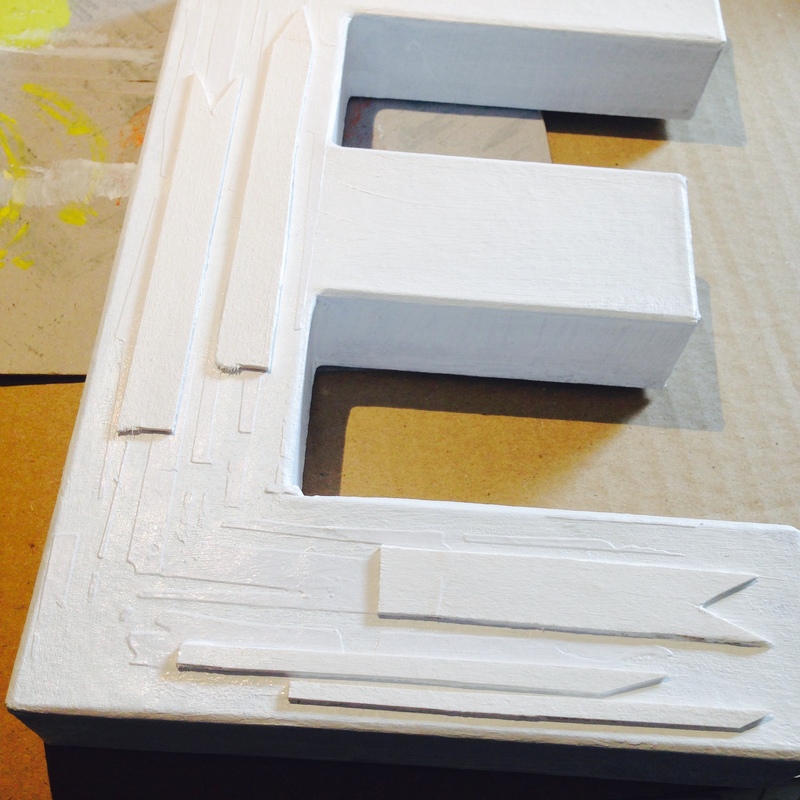 To start, I painted the letter with 3 layers of Gesso (Ayeeda). 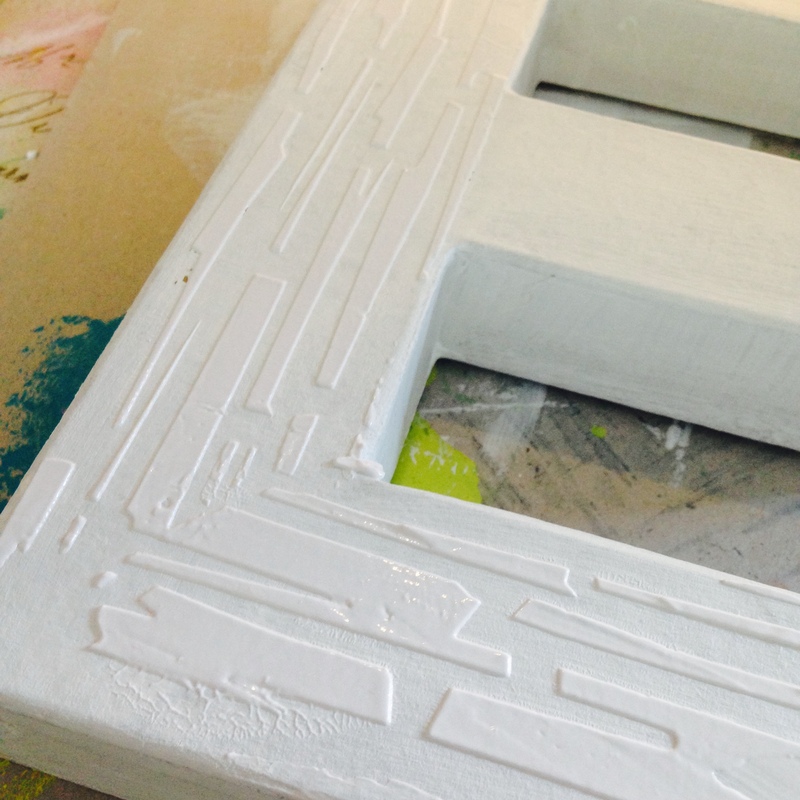 Once dry, I added the first layer of texture by using Ayeeda acrylic texture paste and Finnabair stencil. 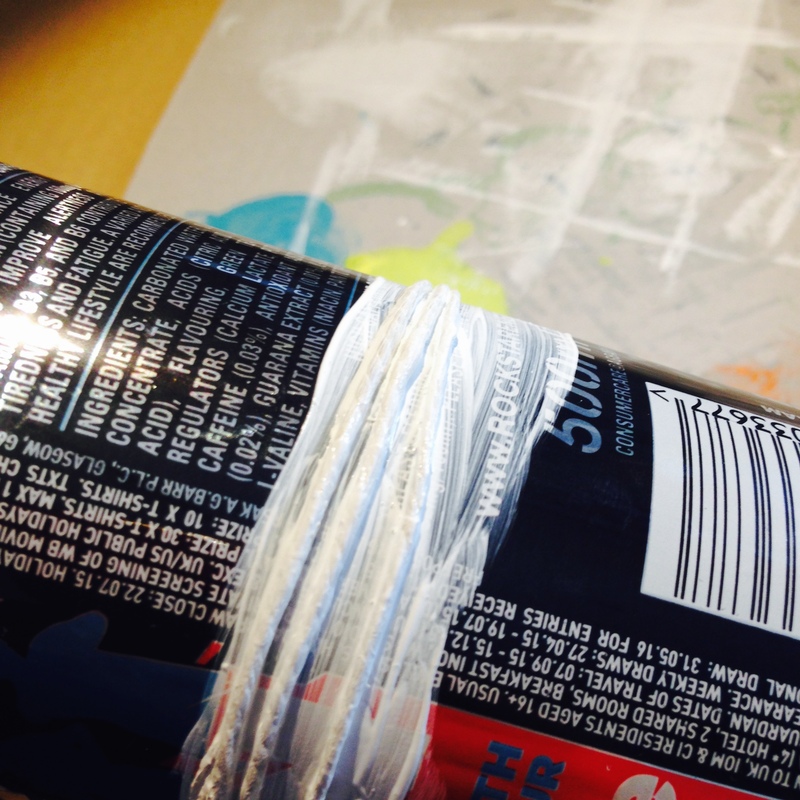 I left it to dry overnight. 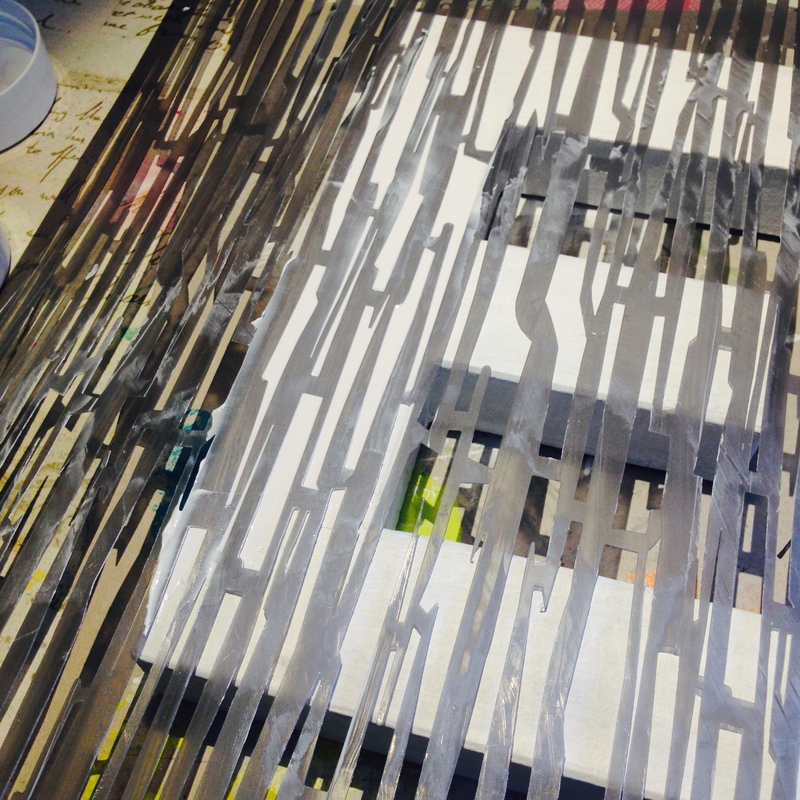 This morning, I added more texture elements: chipboard flags and a wood slice, both painted with gesso. 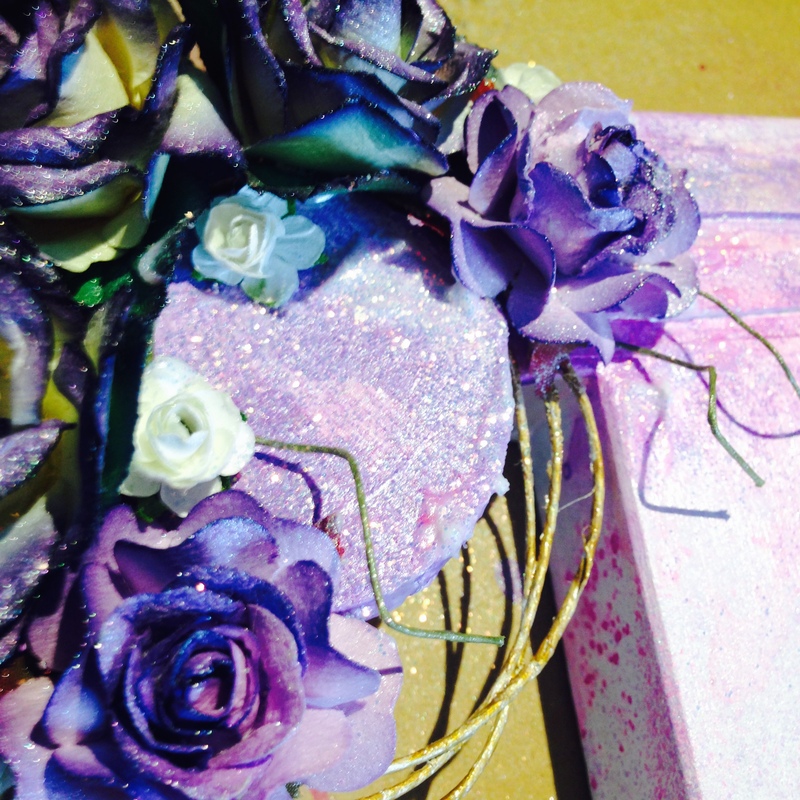 Once the glue and gesso dried, I used Matte Lavender, Chalk White and Pearl Clear Ayeeda Mists and Violet Tsukineko Fireworks mist to create layers of colour on the object. 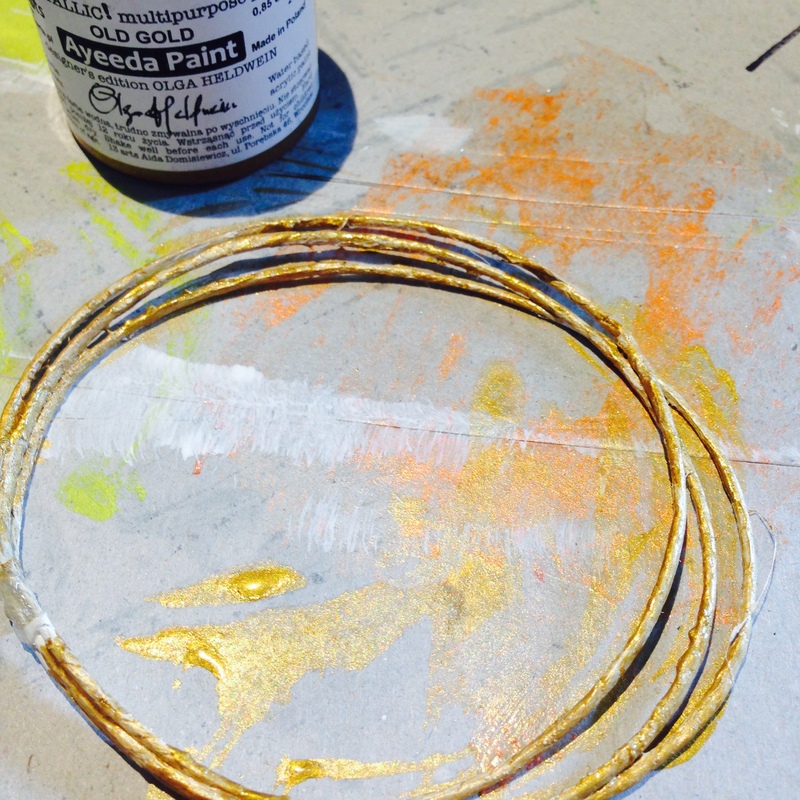 While the mists were drying, I wrapped some thread around a can and painted it white with gesso, dried with a heat gun and then painted again – this time using Old Gold paint by Ayeeda. 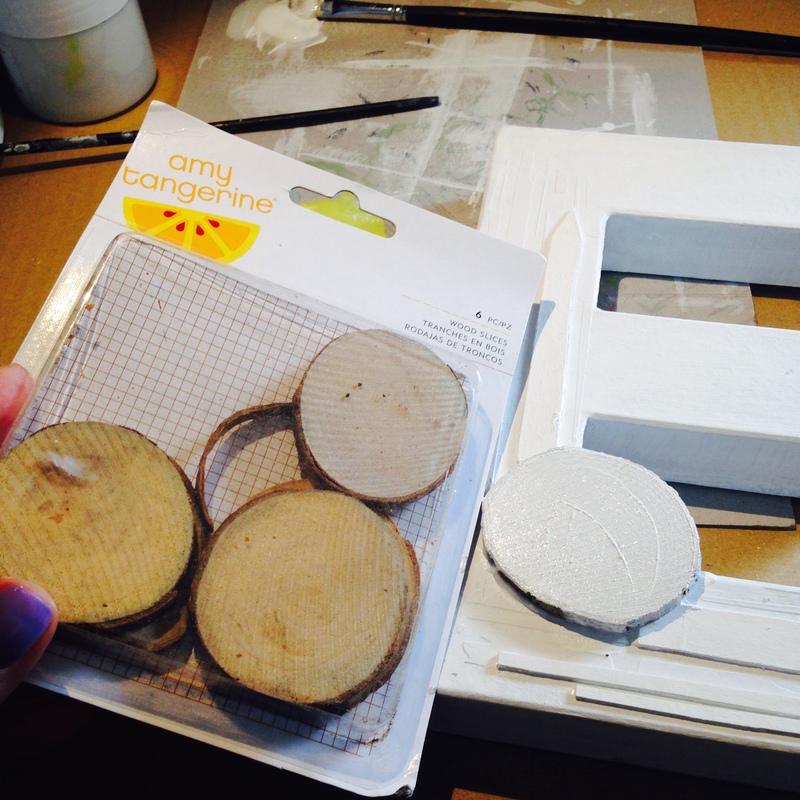 I assembled all the embellishments around the wood slice and secured them with gel medium. Once again, I used Pearl Clear mist over the whole product to make it more sparkly. 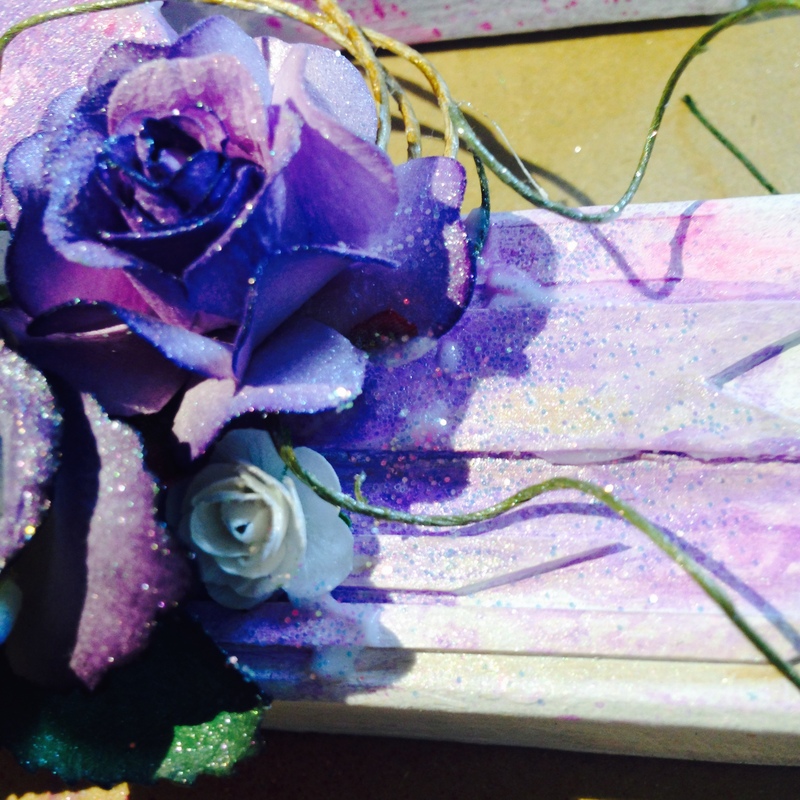 To finish, I sprinkled white glitter all over the flowers and the wood slice. Here’s the final product. …and the craft room is officially mine now. 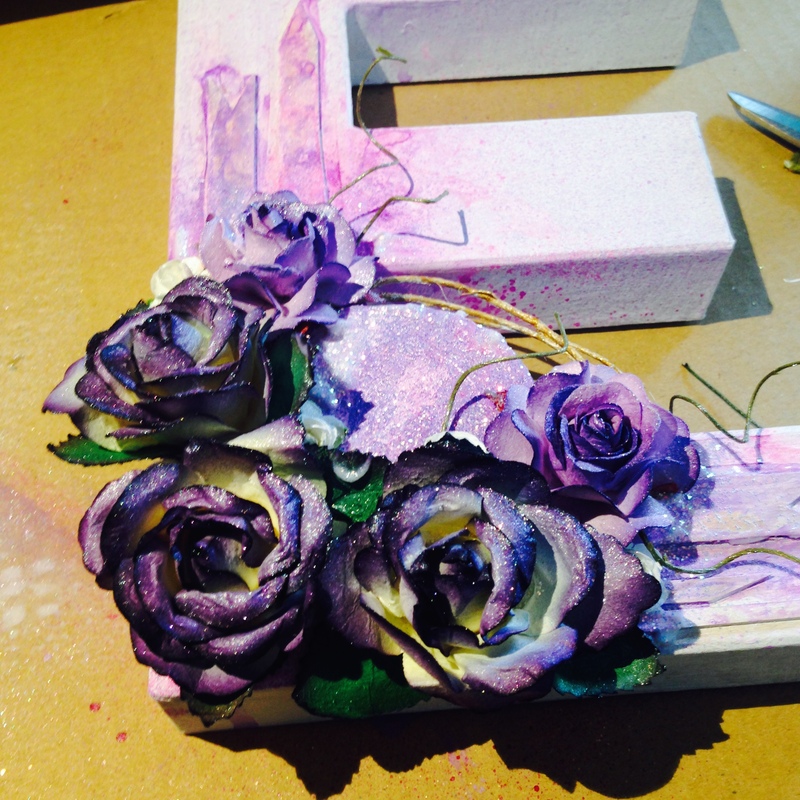 That is so gorgeous! 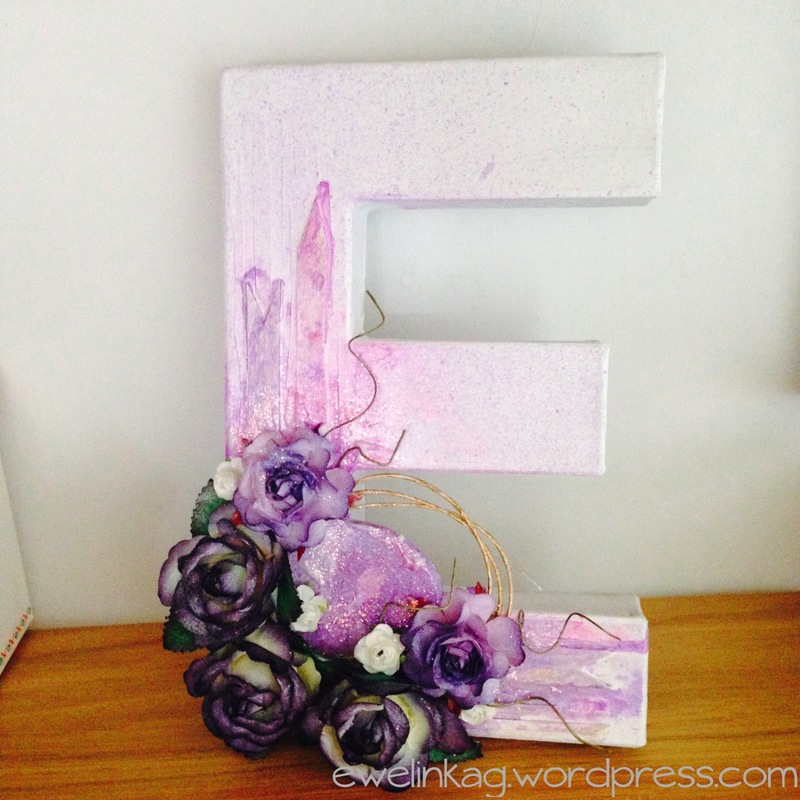 I love the ombre kind of effect the flowers and embellishments have against the E.